Marc Reisman focuses his practice in the areas of catastrophic personal injury and wrongful death law. His greatest pride in his practice is the ability to work directly with his clients who have entrusted him with their case, generally involving very serious injuries or a tragic loss of life. Marc has been honored by The National Trial Lawyer as a Top 100 Trial Lawyer in Tennessee and has been selected as a US News Best Lawyer®. He also meticulously concentrates on legal research and writing and oversees the Firm's appellate practice securing the judgments and verdicts obtained on behalf of its clients. Upon graduating from law school, Marc had the privilege of working as a judicial law clerk for Tennessee's Appellate Courts. He first worked for the Honorable Alan E. Highers on the Tennessee Court of Appeals, and following that, he served as a judicial law clerk for the Honorable Paul G. Summers on the Tennessee Court of Criminal Appeals. 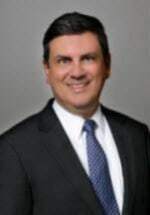 Marc enjoys the practice of law, in large part, due to the relationships he has established with lawyers and judges in Memphis, Shelby County, and around the country. He is an active member of the local bar association, having served on and chaired numerous committees. He has been elected to a variety of nonprofit organizations’ Boards of Directors and is very active in the community. Marc has been selected by the Tennessee Supreme Court to serve as a hearing officer for the Board of Professional Responsibility and serves on the Tennessee Board of Law Examiners Investigation Committee. Marc is a Fellow of the Memphis Bar Foundation and currently serves as the President of its Board of Directors. In addition to being a passionate advocate for the clients of his firm, Marc donates numerous hours every year, providing vital pro bono legal services to many who are not able to afford legal representation. In recognition of his efforts, the Supreme Court's Access to Justice Commission has for many years awarded him the "Attorney for Justice" designation. Marc is married to Jan, and has two sons, Jeffrey and Jeremy. Pro Bono Attorney providing legal services through Memphis Area Legal Services and the Community Legal Center. Marc has been repeatedly recognized for providing more than 50 hours of Pro Bono services annually to the under-served in our community.